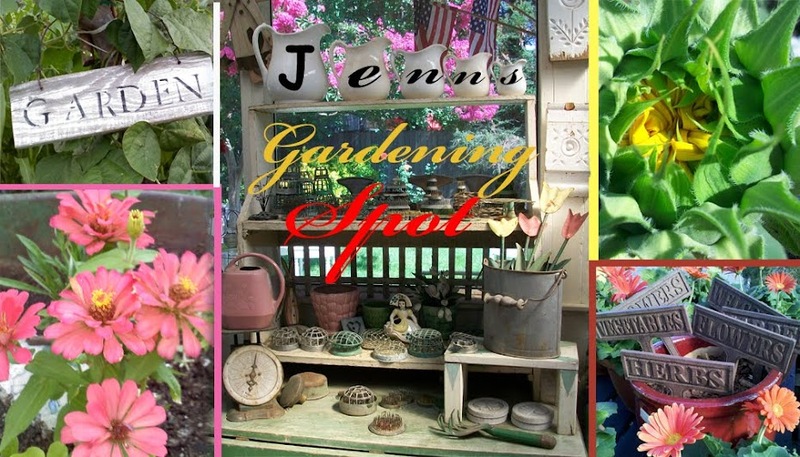 Jenn's Gardening Spot: Lets GROW together, thats the topic on this Easter Sunday! Lets GROW together, thats the topic on this Easter Sunday! 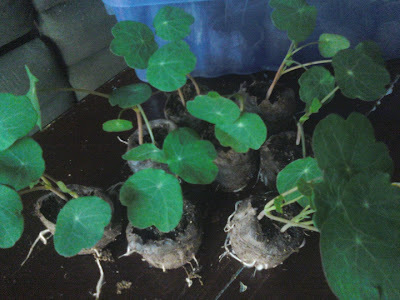 There is a few of us in the blogging world, who are growing Climbing Nasturtiums Spitfire! Compliments of Renee's Garden Seed. I started mine about a month ago . Here is how they looked! Two weeks later and they are in the ground! These are growing up a bambo tiki tourch, so I can hide the stick! 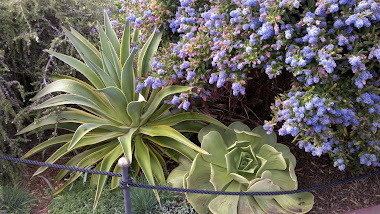 These are in a flower bed to block my neighbors ugly chain link fence! I also added some to my Brocolli bed. I have a little fence that surrounds it. I thought it would add to this area. I also thought it would be neat to companion plant. I still plan on adding more in differnt places! But CALI weather hasnt been treating us well, lots of rain! More planting to come. I am real exciteid to do this project and read the other blogs. If you want to read more about this project and see what others are saying, go here: Grow Project! 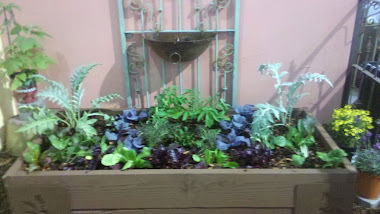 Thanks again to Reene's Garden Seed and The Grow Project! Once they get going they are going to do an awesome job of hiding the garden sins you don't want anyone to see. They get kinda crazy! I love them. This looks like a fun project. I'm sorry I missed out on it. It looks like the registration period has ended. I may just go ahead and start some anyway just so I can hang out with the "cool kids" here in the blogosphere! Hi there! It would be great to visit my site where you could find organic seeds gathered in the wild or from small local growths (heirloom). Maybe there is not big variety, but this is because all seeds are checked one by one, in order to ensure that they are natural organic with good germination. Tested and packed for 2012.